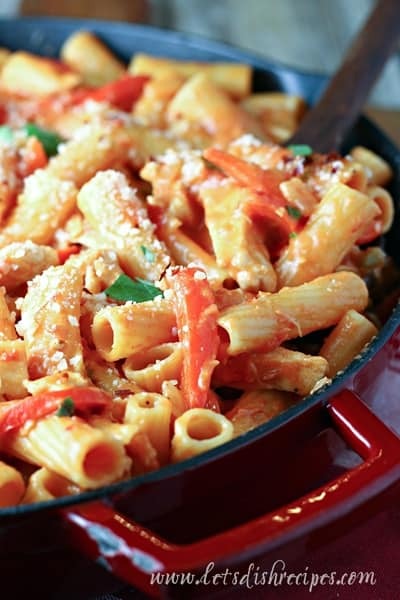 ONE POT SPICY CHICKEN RIGGIES — This one pot meal features rigatoni pasta and chicken in a spicy tomato cream sauce. I’ve got an awesome one pot meal for you today. This is the first time we’ve tried Chicken Riggies at our house, and these One Pot Spicy Chicken Riggies were a huge hit. 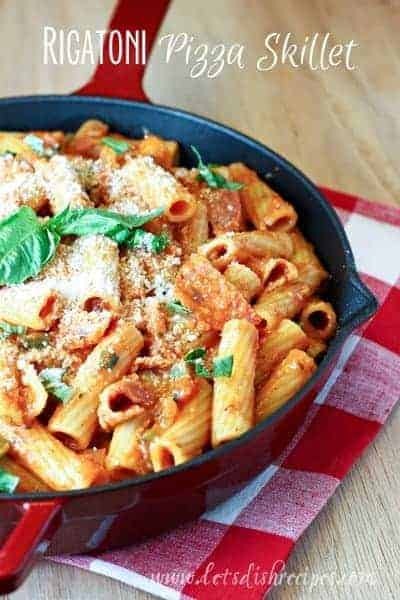 Riggies is a regional specialty from the Utica, New York area made with chicken, rigatoni and hot or sweet peppers in a spicy cream and tomato sauce. What’s not to love about that? 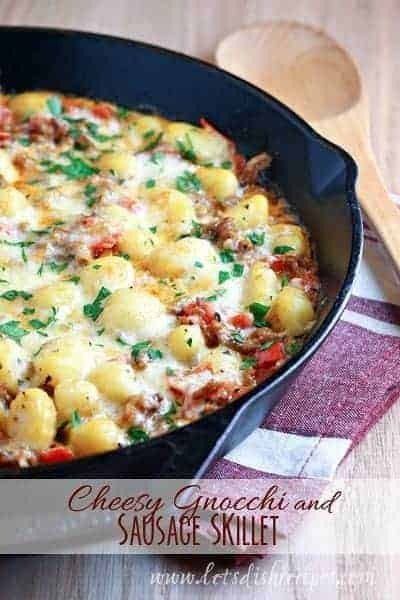 You’ll definitely want to use a large skillet or saute pan for this. It makes enough to feed a crowd, and even with 5 of us, we had enough for leftovers the next day. Not that anyone was complaining. 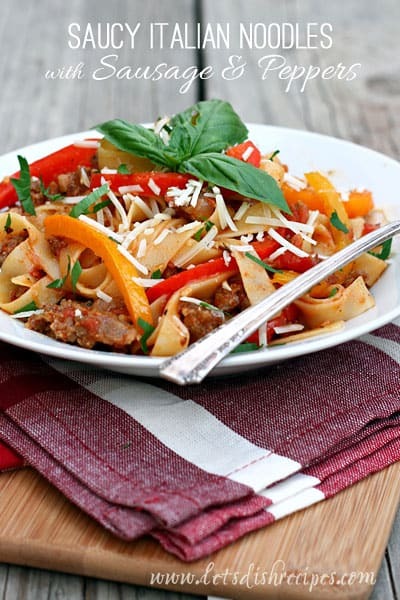 My whole family–even the picky eaters–loved this easy pasta dish. As far as I’m concerned, the best part is that I only had one pot to clean afterwards! If you want to speed things up, you can use a shredded rotisserie chicken and add it in after the onions and garlic cook. You can also adjust the spice level by adding more or less jalapenos and red pepper flakes, or omitting them entirely if you prefer a non-spicy version. Either way, Chicken Riggies are sure to become a family favorite! 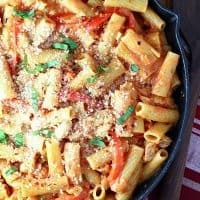 Be sure to save this recipe for One Pot Spicy Chicken Riggies to your favorite Pinterest board for later. 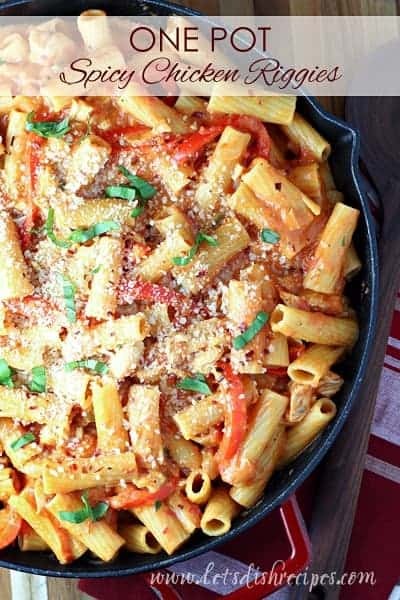 This one pot meal features rigatoni pasta and chicken in a spicy tomato cream sauce. In a large deep skillet or Dutch oven, heat the olive oil over medium heat. Add the garlic, onion and chicken and saute until the chicken is just browned and the onions are soft. Stir in the peppers and cook for an additional 2-3 minutes. Add in the crushed tomatoes, broth and water and bring to a simmer. Carefully stir in the pasta and bring to a low boil. Continue to cook, stirring often, until the pasta is just tender, about 15 minutes. Reduce heat to low and add the butter, salt, pepper and red pepper flakes. When the butter completely melts into the pasta, add in the cream and Parmesan cheese. Simmer for 10-15 more minutes, stirring occasionally, until pasta is tender. Stir in the fresh basil and serve warm. I went to college in Syracuse and used to get Chicken Riggies at restaurants there all the time– so good! And have never seen it on a menu anywhere else!